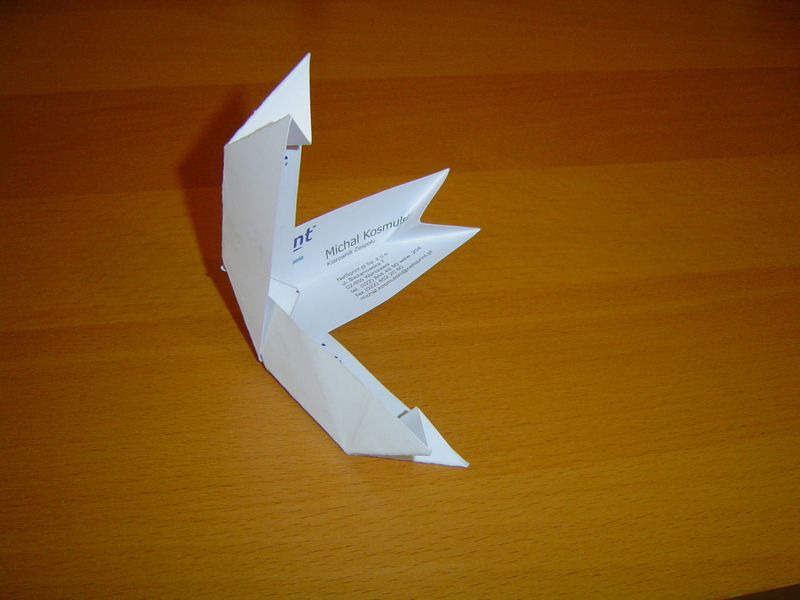 These are folding instructions for the Swallowtail Module designed by Michał Kosmulski. At the time of designing I was not aware that this unit had previously been invented and published by Jennifer Campbell as Dog Bone Unit. 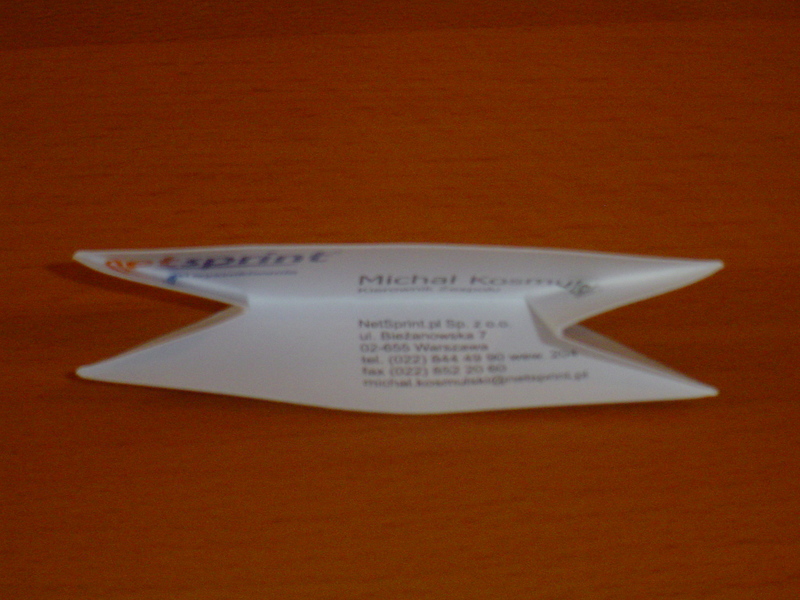 This unit is designed for business card origami - it will not work well with regular, less stiff paper. 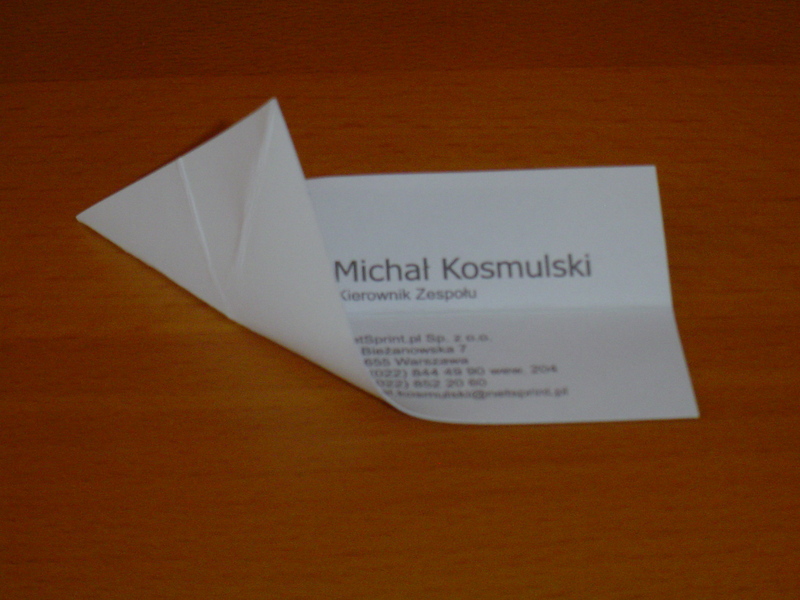 Swallow's Tail Module was designed and published in 2013 by Michał Kosmulski. Of course you are free (and encouraged) to use it for folding your models and to use it as an inspiration when inventing your own modules. In January 2015, I found out that this unit had already been invented and published before by Jennifer Campbell under the name of Dog Bone Unit. The linked page shows an image of a cube like the one I had designed and also some more models which can be created with this module. Interestingly, despite coming up with the same unit independently, both Jennifer Campbell and I assigned it animal-related names. 1. 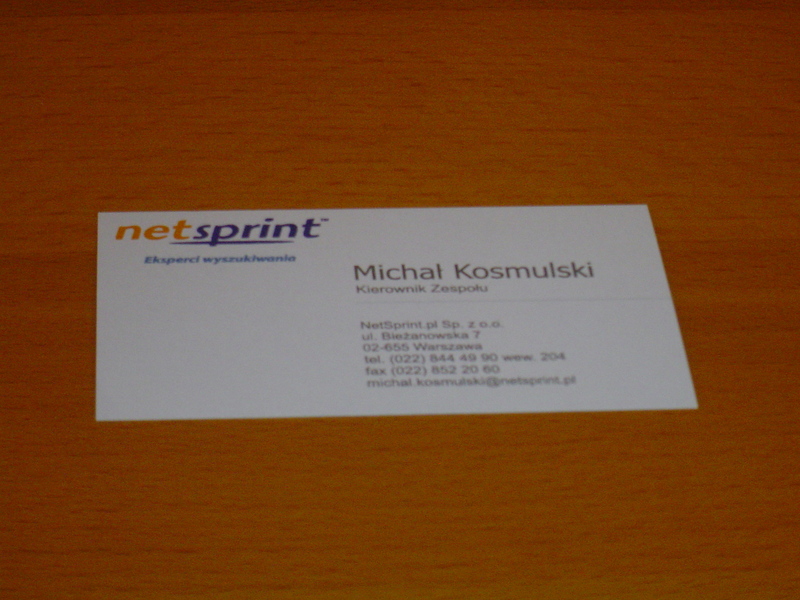 Start with a business card or a sheet of stiffer-than-usual, rectangular piece of paper. 2. Valley fold in half along the longer axis. 3. Crease at an angle of 45 degrees, but only up to the crease created in previous step. 4. Crease like in step 3 in the other corner. 5. Repreat the creases from steps 3-4 on the other side. You should now have 4 symmetric creases at 45 degree angles originating in the four corners of the card. 6. 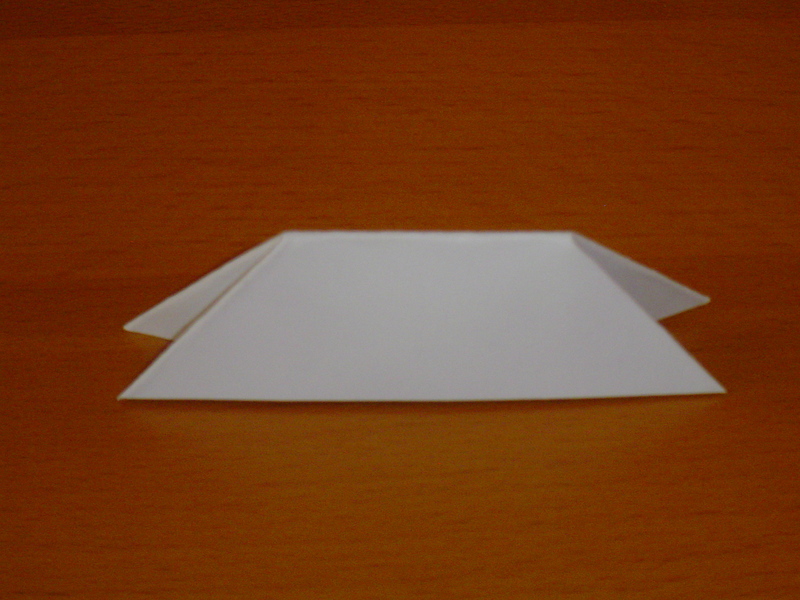 Squash fold using the creases created in previous steps. The module is ready. In this picture it is seen from the bottom. 7. Finished Swallowtail module seen from the side. 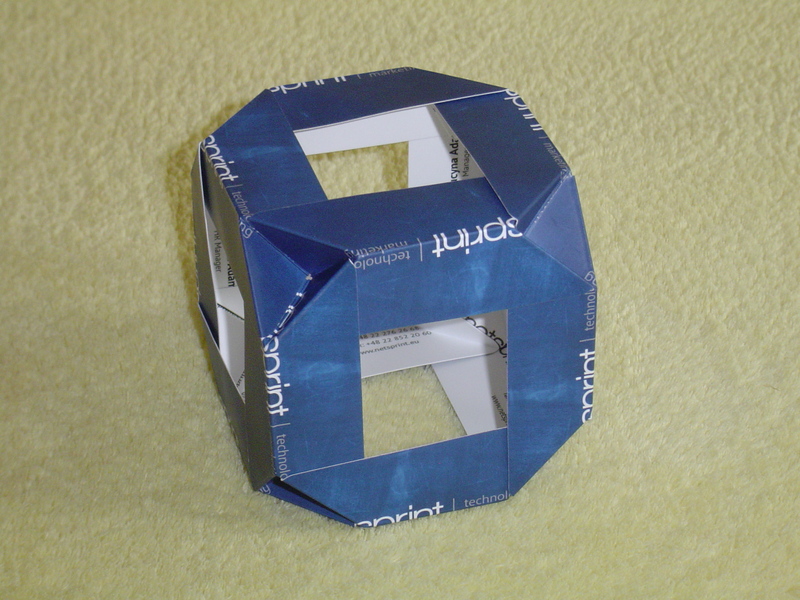 Swallowtail units can be used to fold a cube. I believe that with units made from somewhat slimmer modules (paper with 3:1 ratio or similar), one could fold the units in half and create some spiky balls based on triangular spikes (similar to this spiked dodecahedron), but haven't yet tried it in practice. In either case, at any vertex three units are connected to each other. The "swallow's tail" of each unit is interwoven with the corresponding part of the other two units, creating a small sunken pyramid at the vertex. This connection is quite stable once all units are connected (since the different forces cancel each other out) but a little fragile as long as the whole polyhedron is not yet complete. 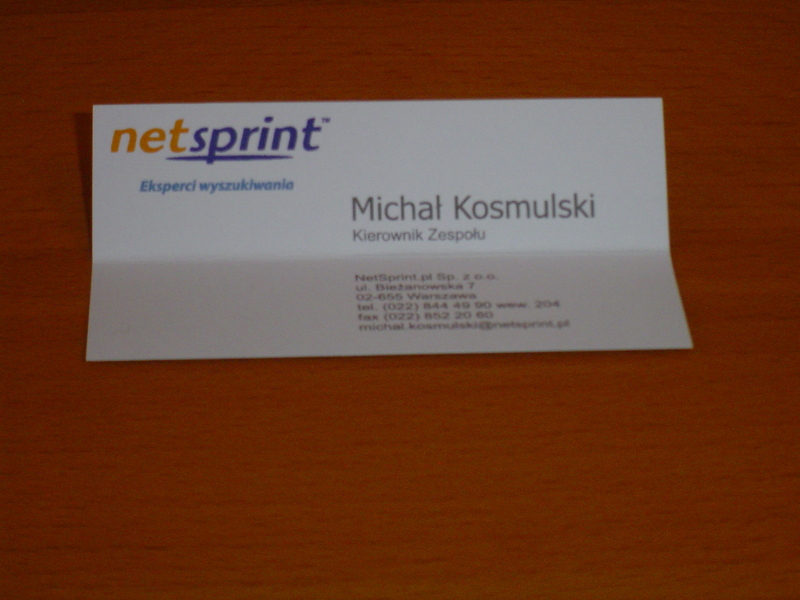 The joint works due to the business card's high stiffness. 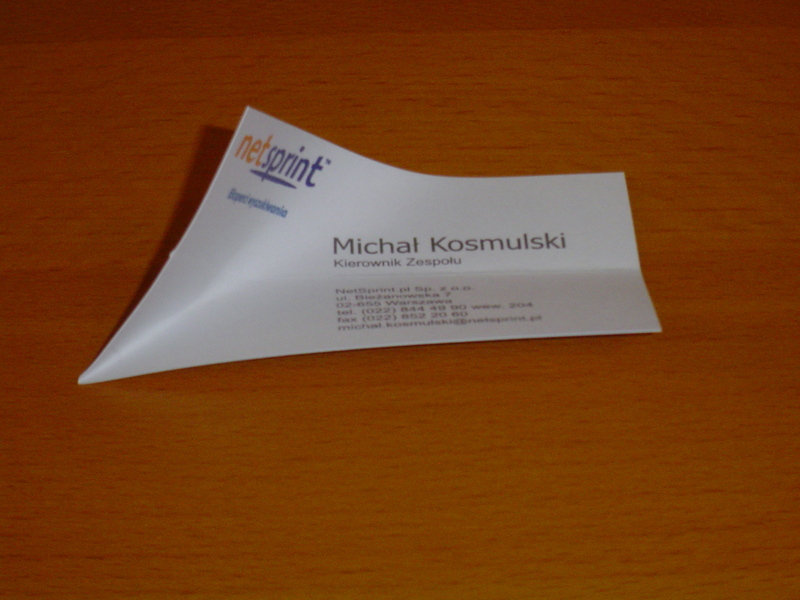 A similar connection made of regular paper wouldn't hold. 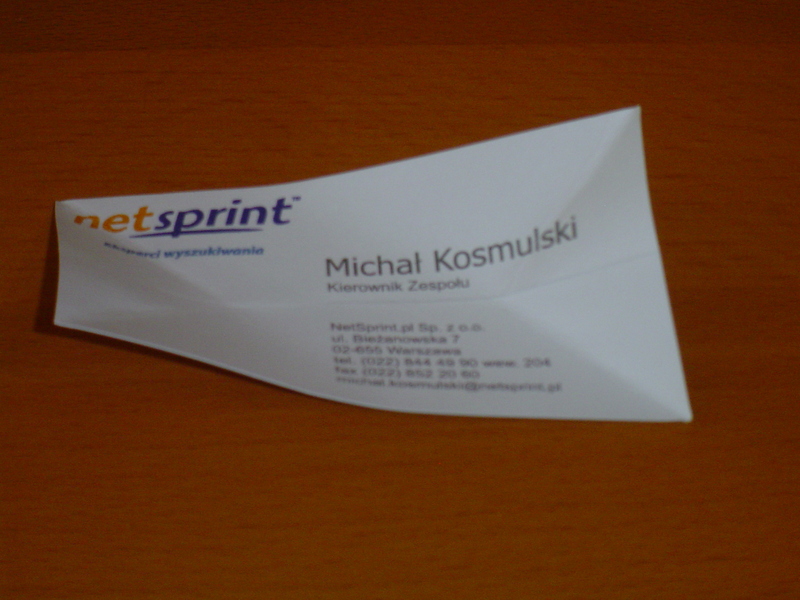 Some units made from regular paper, most notably the PHiZZ module, use a similar connecting structure, but they need an additional sheet of paper in the pyramid while in the business card version one layer less is enough. 8. Three modules connected together show the connecting mechanism. Note the inverted pyramid structure. It can be seen from the other side in the picture of the finished cube below. 9. With all twelve edges added, the cube is ready. Note the inverted pyramids at each vertex.